Our stunning Bollywood Dancers perform high energy, dynamic choreography to the latest hits of Bollywood Films. Colourful costumes, traditional jewelry and dazzling props make this a show everyone can enjoy. Themed packages can include Henna artists, musicians, DJ’s and more to bring a taste of India to you and your guests. We can also include audience interaction where we teach a fun and easy Bollywood line dance everyone can learn and join in. 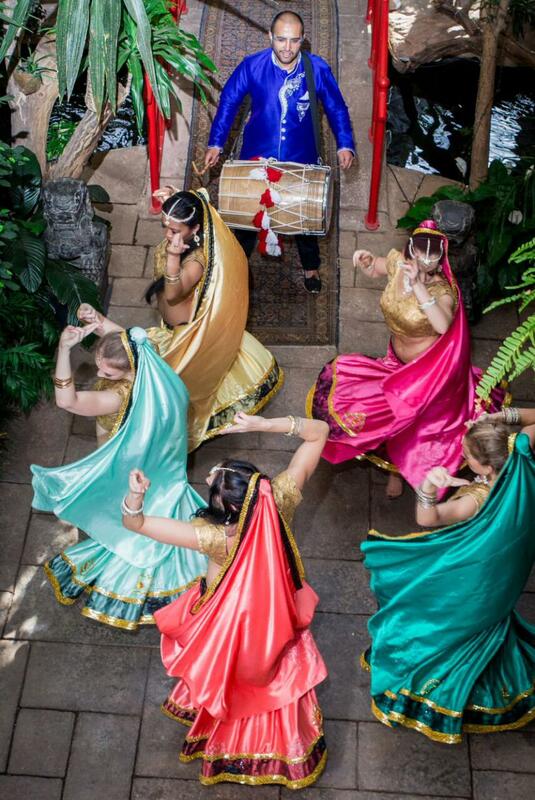 We can also add our live Dhol Drummer to perform with the dancers which adds an exciting element to the show!